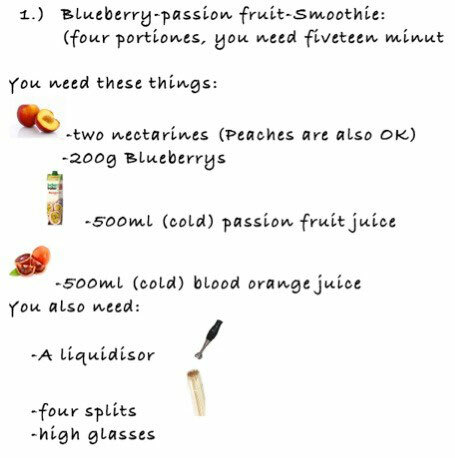 rest of fruits and the passion fruit juice in the mixer. the fruit skewers into it. First, cut the limes into quarters. Four quarters in one glass (You need six glasses)! 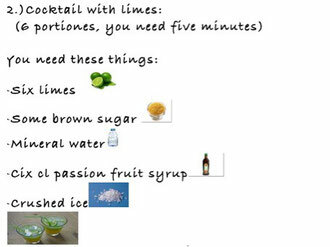 Put some brown sugar over the limes in the glasses and crush them till you can see the lime juice. 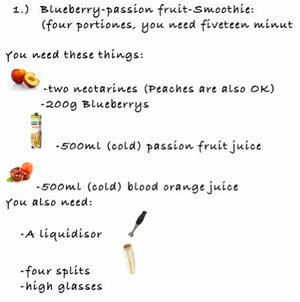 Now fill the glasses with crushed ice, with mineral water and finally, put 1cl passion fruit juice in each glass.